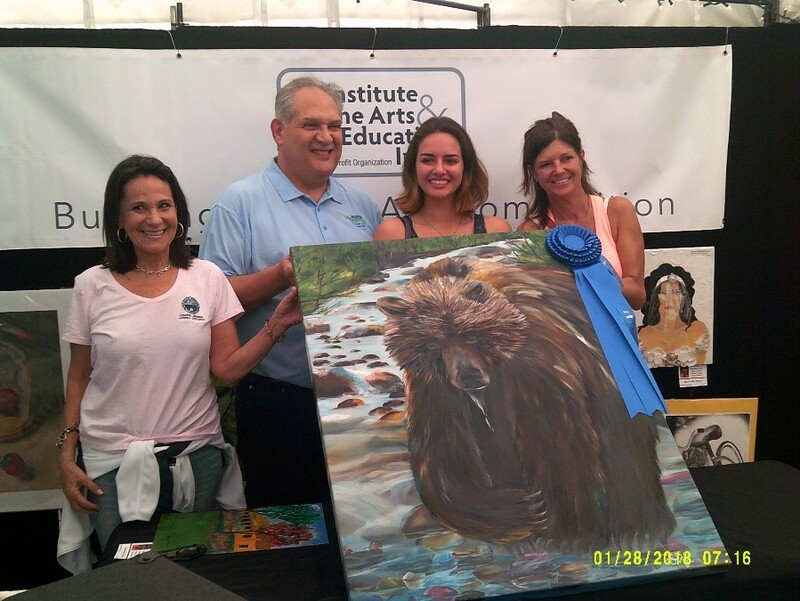 Hot Works’ 11th Boca Raton Fine Art Show returns to downtown Boca’s Sanborn Square Park at Federal Highway and Palmetto Park Road in January/ The open-air art show was voted in the top 100 art shows in America 3 years in a row and is juried by art professionals. According to the show’s executive director, Patty Narozny, all work is original and personally handmade by the artist who is present at in the show. The Show showcases 160+ professional artists with all discipline for sale including paintings, sculpture, clay, glass, wood, fiber, jewelry, photography, and more. There is something for everyone, in all price ranges. As part of her commitment to include art education in the community, Narozny will, again, present a Budding Artist competition, integrated within the event. Young artists in grades 6-12 or ages 9-19 are invited to apply with their original and personally handmade art. This competition gives budding, young artists a golden opportunity to begin learning the rules of being part of a professional art show and exhibition. The Budding Artist competition is provided with a premium location within the show to display all of the youth art entries. As art programs are being dramatically cut and eliminated in schools nationwide, the need for such initiatives is made even more relevant. On Sunday, January 27 at 3pm in the “Budding Artist Competition” booth, there is $250 in cash awards provided to four winners, along with a beautiful, colorful two-foot-long ribbon. Criteria for judging the youth art is technique/execution and originality, which is similar for judging of the professional artist awards. Photographs of the winners and other youth art participants will be taken. The deadline for youth art entries is January 3. A Budding Artist Competition application is available at www.hotworks.org. Please mail applications to PO Box 1425, Sarasota, FL 34230. The application fee is $3 per entry; with up to two entries per student accepted. Admission to the Show is Free. Event hours are Saturday and Sunday, from 10am-5pm daily. More info at www.hotworks.org.